I have been thinking about soldiers lately. As many of you know, our oldest son is now in the Army. 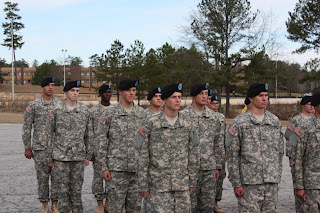 He just finished basic training at Ft. Benning GA last week. He says that the one thing that he likes most about being in the military is the discipline. The discipline. In a world where "anything goes," indeed, many things do go, the first of which is usually discipline. 2Ti 2:3 "Suffer hardship with me, as a good soldier of Christ Jesus. 2Ti 2:4 No soldier in active service entangles himself in the affairs of everyday life, so that he may please the one who enlisted him as a soldier." I question.... "am I entangled? What am I choosing to invest in? " I have never regretted investing in God's Word. Writing His Word.... His truth in my heart. I always come away changed. Convicted of sin. Encouraged when things are very dark. Made more like Him. Able to speak truth to my children and those around me. When my now adult children were little, we memorized topically, and it was good. Later I was challenged to memorize larger portions of Scripture~ even whole books. Oh the richness of whole books! Please know that I write this only to encourage. There have been too many times that I have not been faithful. Nonetheless, we have continued to strive and to begin again when I have become lax. My desire is for you to be encouraged. If my family can do this, if I can do this.... certainly you can too! Even the younger children in our family can recite whole books of the Bible now. The book that first challenged me and gave me an idea of how to memorize large portions of scripture effectively was His Word in my Heart, by Janet Pope. I write the verses to memorize on a spiral 3"x 5" deck of index cards. We usually think of motions to put with key words in the verses that we are working on. Sometimes these are actual ASL, but many times they are just motions that we make up. This helps tremendously. 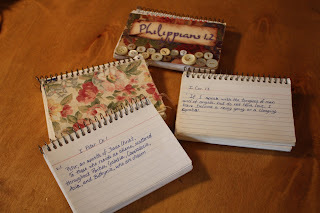 I am currently memorizing Phillipians with the children, simply working on it each morning before we begin school work. We currently have the first chapter memorized very well, and are almost done with the second. In addition, beginning in January of this year, Tom challenged us to begin a more strenuous scripture memory program. He found information on line which included a challenge to memorize the whole New Testament in 5 years! We are currently working on this program and are taking it a little slower than suggested, so we can take Sundays off for review/catching up. But still, amazingly, we have, since January memorized all of 1 Timothy and are more than half-way through 2 Timothy! Tom and I and the five oldest children are working on this. Many times Caleb, who at 10 is the youngest of this group, is the one who has his verses down much better than any of the rest of us! I have not done as well as Tom or the children has at this. I make no excuses~ I simply need to strive to be more diligent. This evening as I contemplated what really matters, the things I know I will not regret spending my time on, Scripture memory is at the top of my list. I stand, head bowed, convicted of my lack of diligence, but ready to work harder, dependent on the Lord to strengthen and enable me to "please the one who enlisted me as a soldier." How to Memorize Verbatum text. A research-proven method of helping your brain remember. Ann Voskamp's excellent blog post on scripture memory. An Approach to Extended Memorization of Scripture.... download this highly recommended PDF file. 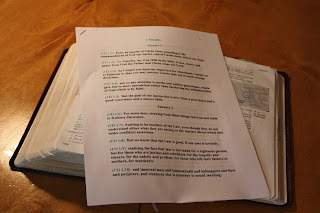 Ann Kroeker's Mega Memory Month (MMM) post, including some helpful additional ideas for making scripture memory effective. 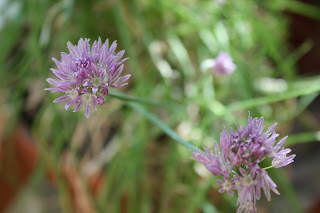 Hope this is helpful and encouraging... please leave me a comment.... I'd love to hear what you are memorizing and h0w the Lord is using His Word in your life! I'd so appreciate hearing the details of your plan for the whole New Testament! thank you for sharing your family and faith - it is very encouraging and faith inspiring. i am trying to learn James as i feel that is where God is directing me at the moment. Jacquisj, I think that is *great* that you are working on James! What a rich book... slow and steady seems to be the key for me. Thanks so much for sharing your plans~ you are an encouragement to me!